Beauty & Durability. 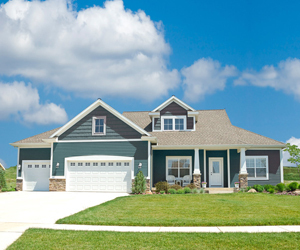 The best siding option for your home is one that provides the perfect balance of both. We can help you choose the best option at the right cost. One of the best ways to upgrade your home is with brand new quality siding from an experienced siding contractor. Quality siding should be both durable and beautiful, providing a massive boost to your home's curb appeal while also keeping more vulnerable building materials well protected. At Infinity Home Improvement we offer a wide range of quality siding materials and types to match your vision. Our team of expert siding installers can help you select the siding type that will best match your vision at the right cost. We can also help you select shingles, accent, and trim colors to create a consistent and attractive look for your whole home. Are you interested in having quality siding installed? Contact us today online or at 1-844-329-3277 and schedule your free estimate in Wyoming, Kentwood, Grand Rapids, and nearby Michigan and Illinois! "Representative was friendly and intelligent. We didn't feel..."
"The workers were polite and caring about how they were..."
"Really like the color of siding we chose! " There are a plethora of siding options available from traditional to maintenance-free solutions. At Infinity Home Improvement we offer a wide range of the best siding materials and types from leading manufacturers to help you increase the beauty and value of your home. Our expert team will help you choose the perfect siding type but you can learn a bit more at the various siding options we offer by taking a look at the list below. Start upgrading your home with a free siding installation cost estimate! Are you ready to make the home exterior of your dreams? The siding installation experts at Infinity Home Improvement can install the perfect siding for your home. Contact us today and schedule your free siding installation cost estimate in Kentwood, Wyoming, Grand Rapids, Holland, Walkerville, Rockford, Allendale, Lansing, Kalamazoo, Battle Creek, and throughout the surrounding areas of Michigan and Illinois!